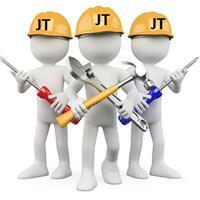 JT Plumbing And Property Services - Bathrooms, Builder, Kitchens based in Caversham, Berkshire. The company has been established for over 3 years now. I have 10 years experience in the trade also other guys who work with me have over 30 years experience. We specialise in bathroom and kitchen installations And Property Services, house renovations. I am a sole trader.